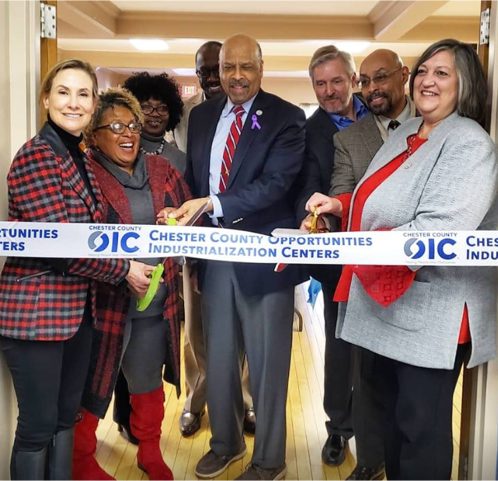 Pictured from left: Chester County Commissioner, Michelle H. Kichline, Joyce Chester – CCOIC President and CEO, Linda Lavender Norris – Coatesville City Council, Dan Williams – State Representative, CC Commissioner Terrance Farrell center, Gary Hess – CCOIC Board Chair, James Haynes – President, OIC America, CC Commissioner Kathi Cozzone. COATESVILLE — Chester County Opportunities Industrialization Center (CC-OIC) has opened in Coatesville and has a mission to train the unemployed and underemployed into long-term employment opportunities. Started by Rev. Leon Sullivan over 55 years ago, to meet the employment needs of disadvantaged individuals, CC-OIC offers workforce training and case management services for everyone, including young adults and adults who have been involved in the criminal justice system. For instance, the SOAR (Skills and Opportunities for Achievement & Responsibility) Workforce Reintegration Program serves people who have been involved in the criminal justice system, helping them make the successful transition into the workforce by earning Industry Recognized Credentials and becoming productive, responsible, economically stable citizens. Program participants are provided with the support they need to overcome many of the challenges they face. The suite of services includes: education and training such as GED, English as a Second Language, Certified Nursing Assistant (and other industry recognized credentials); professional development workshops to gain foundational and customer-centered skills for the workplace; employment and job placement assistance; case management services and referrals to partner agencies to assist with barriers that may impede success. OIC also contacts local businesses, collecting information about entry-level jobs and training opportunities to pass on to their participants. 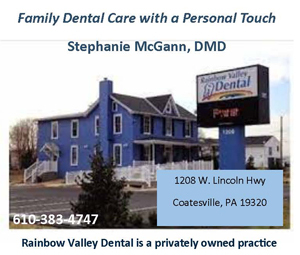 Employers and future employees get in touch or drop in: info@cc-oic.org or call: 610-692-2344, 22 N 5th Avenue, Coatesville, PA 19320.